Believe you me, I KNOW that “Money Management” can sometimes feel like something outside of your grasp. If you’re doling out your paycheck to creditors every month and making minimum payments just to keep the cycle going; there’s NO DOUBT that things can get majorly discouraging. However, I’d like to encourage you to not let that any feelings of helplessness keep you pinned down. If you’re struggling financially, you can manage your money while you pay down your debts and you build yourself a savings! 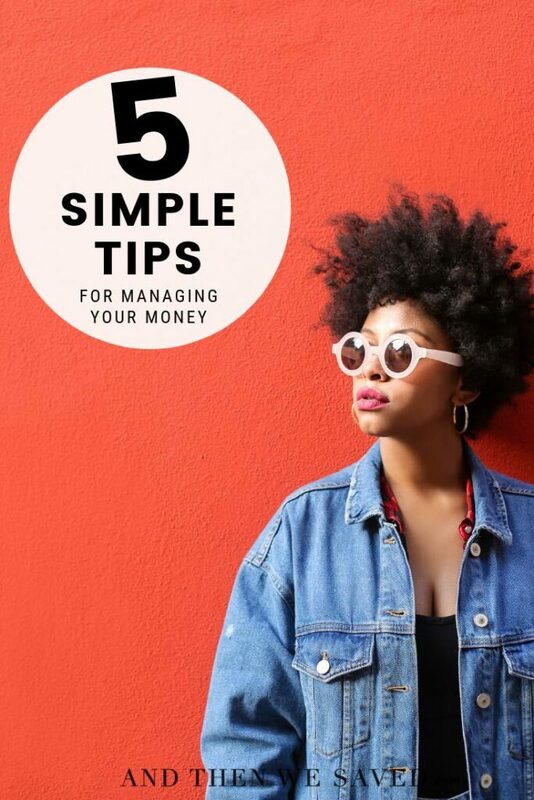 These 5 simple money management tips are very practical and will help you take the first steps toward financial freedom. When you are struggling financially, it’s all too easy to avoid money management IN GENERAL. It’s natural. If you feel powerless and thinking about it causes depression or anxiety, why would you even want to GO THERE? (I know I didn’t want to!) But, I know first-hand that when you ignore your finances, they’ll never get better. To break free you’ve got to look at your money. Specifically, you have to look at what’s coming in and what’s going out. Sit down and do the math. Look at your statements. Discover where your money is going and how over or under you are every month. This is SO important, but so many people don’t do it. What many of them discover when they start to take control of their money management is that there is money going out that they weren’t even aware of. You will find opportunities to loosen up and you’ll discover how much money you need to find. That may mean cutting back on spending, or making more money with a side gig or a new job. 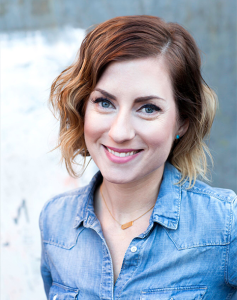 Pro tip: I highly, HIGHLY recommend creating a Reverse Budget (find out exactly how to do it in my book, The Spender’s Guide to Debt-Free Living) to see where your money is going. The Reverse Budget is continuously one of the things I hear about the most as being the most helpful and insightful tools from my book. 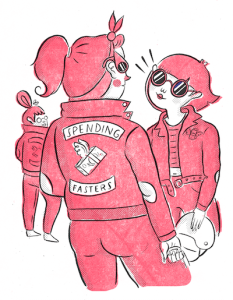 Another money management tool that’s super important is reevaluating how your money is spent. You can bring down debt faster by targeting your higher-interest payments first. Money management starts even before you have a substantial savings. It begins with paying off debts. When you have money set aside each month to tackle high interest debt, that’s progress. Focus on bringing those negative balances up to zero and do it as aggressively as you can. When your balance gets lower the amount of interest added to the next billing cycle decreases. Keep up to date and informed on what is happening with the accounts you owe money on in order to make money management decisions that bring you closer to debt free. 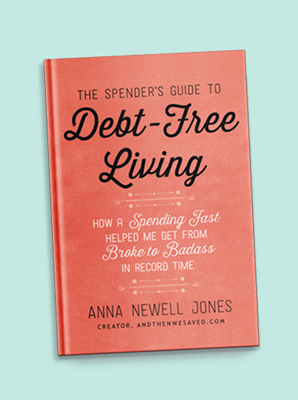 Pro tip: I highly, HIGHLY recommend creating a Debt Hit List (find out exactly how to do it in my book, The Spender’s Guide to Debt-Free Living). The Debt Hit List will give you a step-by-step plan on exactly what order to pay your debts off in. If you’re someone who can actually leave money in your savings account then this tip is for you. 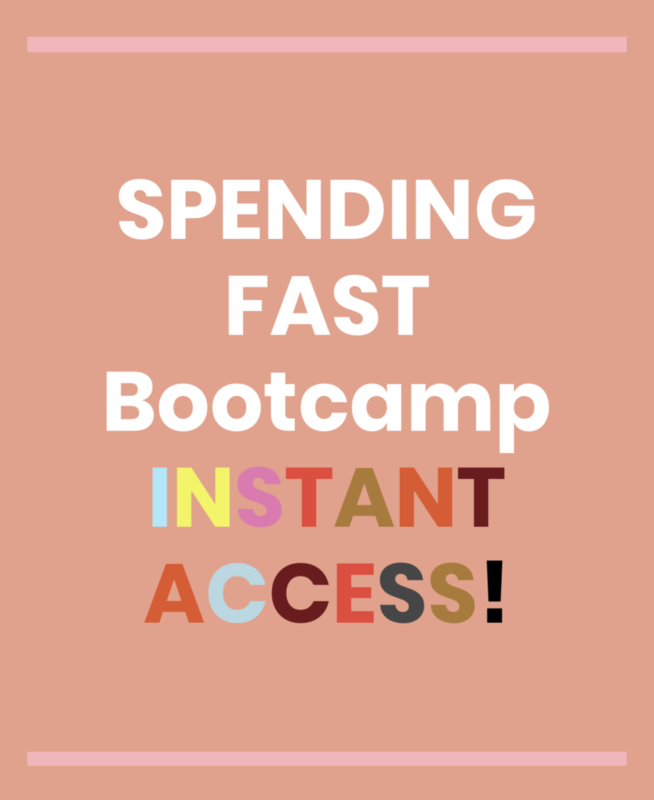 If you’re like me and let every little thing become an “emergency” and you end up having no debt paid off AND nothing in savings then, use the Spending Fast method to aggressively pay off your debt first AND THEN start your savings. Start with an emergency fund. Aim for $1,000 in savings, then increase that target amount until you reach a minimum of three months worth of income. If you are used to making big payments for credit cards and loans then this will be easy to achieve once those big payments are gone. Once your emergency savings goal is met, start prioritizing savings the way you prioritize your payments, consider household budget, retirement, Tuition, etc. If you are working on money management and working hard to pull yourself out of debt, you are probably on the Spending Fast and you may have taken up a side gig. These two things are amazingly effective at getting out of debt. One thing you have to be careful about when you work a side gig is making sure that you account for taxes. Automatically set tax money aside when you get paid. 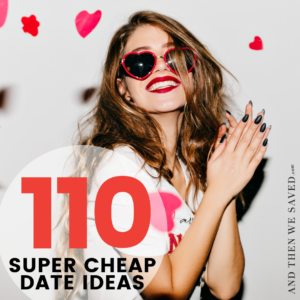 This is both easy to do and difficult, because you want to use that money so badly and hate to see it evaporate, but when April comes around you’ll thank your lucky stars you are prepared. Pro tip: I have a lot of side gigs and businesses and I set aside 25% of my gross earnings in a separate account to be sure I have enough for taxes. I know it’s painful to do but it’s even more painful if you don’t have that money when it’s due. If you get into the habit of regularly reviewing your statements and managing your money effectively, you’ll see success. The more you focus on it, with a plan in place, the more you will accomplish. Just like avoiding money management prohibits you from gaining financial freedom, making it a priority enables you to do more. Management literally means “hands on”, so to effectively control your money and budget, it’s super vital to stay clued in to what’s happening, day-to-day with your money. Pro tip: I talk a lot about tracking in my book. Check it out to find out exactly how to do it. Make money management a priority in your life, keep it in your focus. Then you’ll position yourself for better financial footing now and in the future! Did we leave off anything that you think is vital to helping YOU manage your money? If so, tell us below! And, if this helped you, we’d love for you to comment below and share it with your friends!